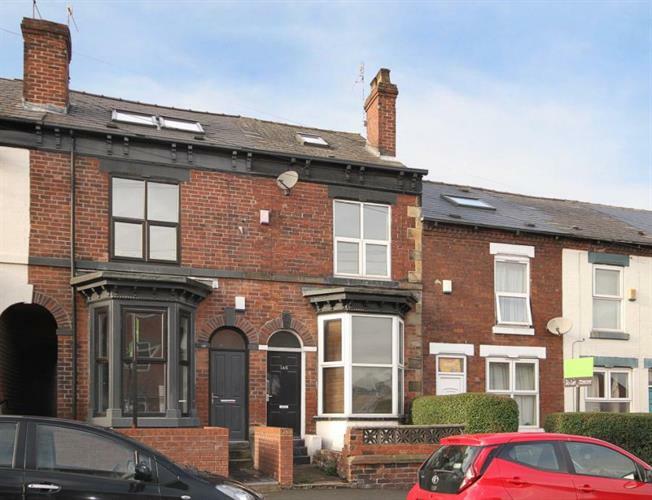 3 Bedroom Terraced House For Sale in Sheffield for Guide Price £140,000. Guide Price 140,000 - 155,000. A charming three bedroom period terrace house located within approximately half a mile of Sheffield City Centre with convenient access to universities and hospitals. Local shopping facilities and regular public transport. The front entrance door opens to the open plan aby window living room. Dining kitchen with garden views and door access to the basement cellar. Staircase from the entrance hall to the first floor landing. Two well proportioned bedrooms and a shower room w.c.
Staircase from the first floor landing to the second floor double bedroom three. The exterior of the property has a forecourt garden with pathway to the front entrance door. Courtyard style rear garden with walled boundaries.